I have lived in New York my whole life. Technically speaking I do live in New York City since I live in Queens. But if someone says I am going to the city I know they mean Manhattan, not the other four boroughs. And yes there are other cities out there but, New York is the only one that counts. Sorry but, really I’m not. I started this beauty journey about five years ago and so happy I did. In those five years I have shopped many a place for my beauty bits and wanted to share with you my top 10 places to go. NYC has so much to offer and so many places to shop that it can be overwhelming to those visiting. I hope this helps! 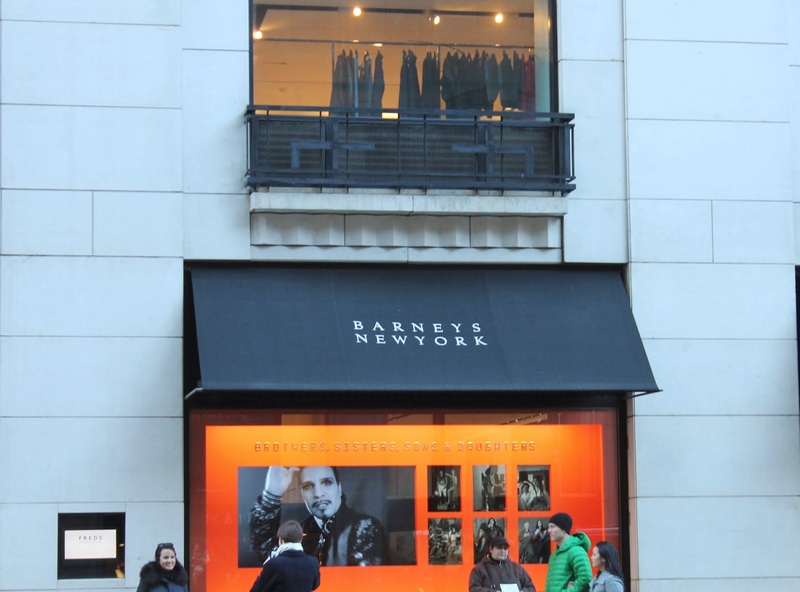 Barney’s New York, located on Madison Ave and 61st street. If you are looking for luxury than you have come to the right place. Barney’s has such a high class feel when you walk through the doors. I would not say that this is my day to day stop but, I do like to pop my head in every once and awhile. They have everything from Armani, Givenchy, Bobbi Brown, to By Terry, Tatcha, Eve Lom, and Claudio Riaz. The sales girls are very nice and I’ve never had in issue when looking through the counters. I definitely like to come here for my more luxurious purchases. 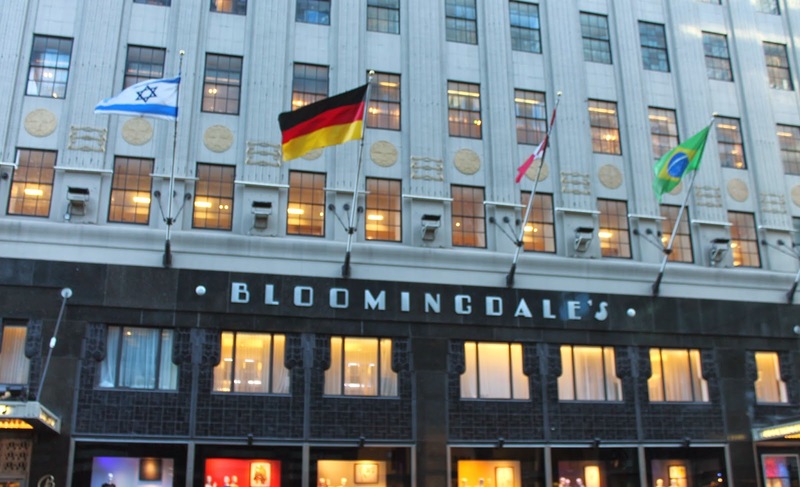 Bloomingdale’s, located on Lexington Ave. and 59th street. The little brown bag. That is exactly what comes to mind when I hear Bloomingdale’s. I love the makeup floor here. It is all black and white marble and just looks gorgeous. Bloomingdale’s carries Aerin, Bumble & Bumble, Chanel, Clarins, Dior, Jo Malone, La Prairie, Nars, YSL, and many more. I love the Kiehls section. The sales people really know what they are talking about and give out a large amount of samples. Plus, they really don’t pressure you into buying anything you don’t want too. 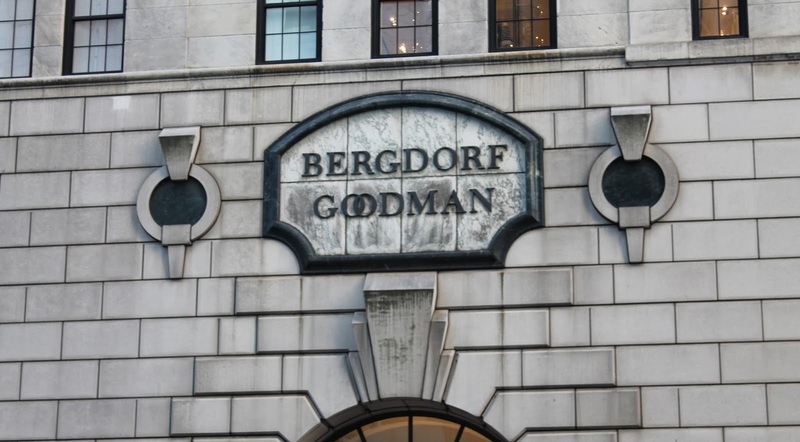 Bergdorf Goodman, located on 5th Ave and 59th street. Bergdorf’s is right next to The Plaza and Central Park. It is so gorgeous on the outside and of course the inside. Bergdorf’s also just screams luxury to me and carries some of the best makeup brands including, Aerin, Cle de Peau, Dior, Edward Bess, La Prairie, Le Metier de Beaute, and Trish McEvoy. I recently picked something from Edward Bess and will be showing you guys soon. Bergdorf’s has this adorable lavender shopping bag that I just can’t seem to throw away. 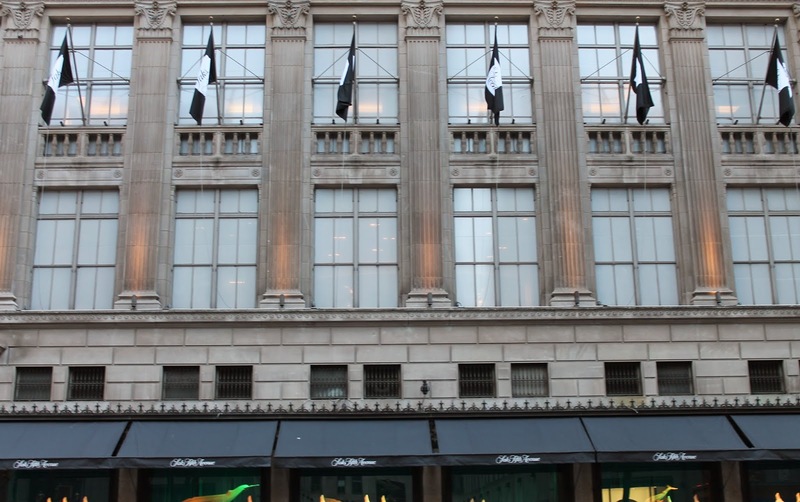 Saks Fifth Avenue, located on 5th Ave and 49th street. There are three places I shop the most in the city and this is my third shopped place. I love Saks. 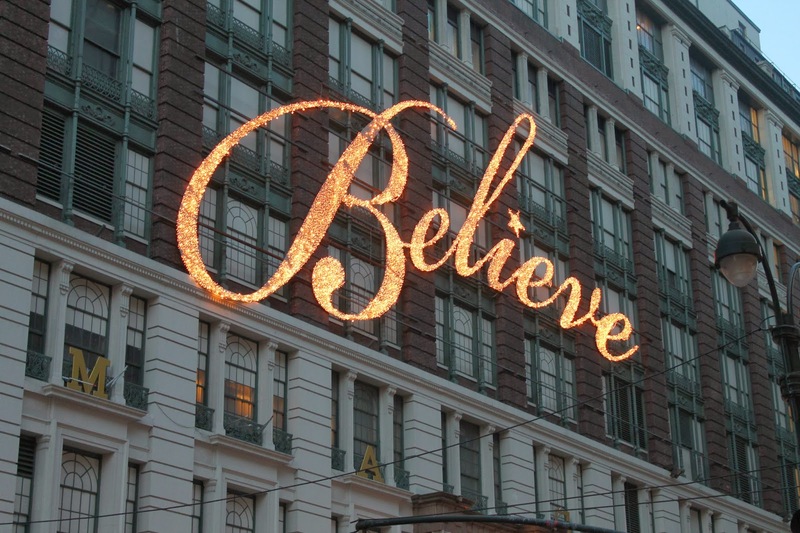 It is located right across from Rockefeller Center and right next to St. Patrick’s Cathedral. They carry Burberry, Armani, Tom Ford, Chanel, YSL, Dior, Cle de Peau, and Laura Mercier. The sales people are some of the nicest sales people out there and really know what they are talking about. This is my go to place for Tom Ford, Armani, and Burberry. And right now they have a Beauty event going on! If you spend $100 you get a free tote with samples and if you spend $250 you get a tote and a makeup with even more samples. Isn’t that a girls dream! And to be honest it is pretty easy to spend that much. Macy’s, located on 7th Ave and 34th street. My second most shopped store. I know Macy’s like the back of my hand. And let me tell you that no matter what time of day it is Macy’s is jam packed full of people. They just revamped their makeup area and it looks so amazing. This Macy’s carries Chanel, MAC, Dior, Lancôme, Clinique, Clarins, D&G, YSL, La Mer, Shiseido, and Laura Mercier. They also have Hermes and Jo Malone fragrances. I am truly loving the new layout and the new brands they have. This is my go to place for Chanel. Blue Mercury, located on Broadway and 17th street. 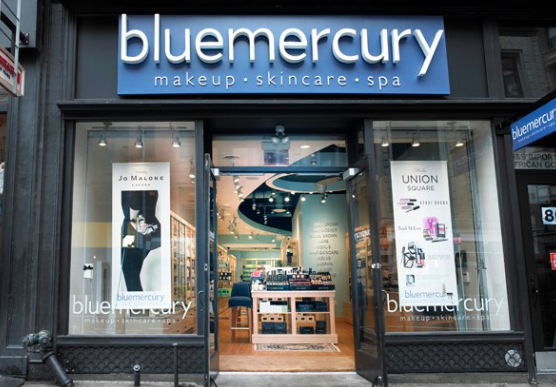 Blue Mercury is the cutest beauty boutique. It has a mix of makeup and skincare. I think they focus a bit more on skincare. They carry brands like Jo Malone, La Mer, Diptyque, Bobbi Brown, Kiehls, Oribe, Phyto, and Laura Mercier. I have been in there a few times and the sales girls are great and let you look around without being on top of you. They are friendly and give great help. And it is pretty quiet, which is nice in a crazy busy city. 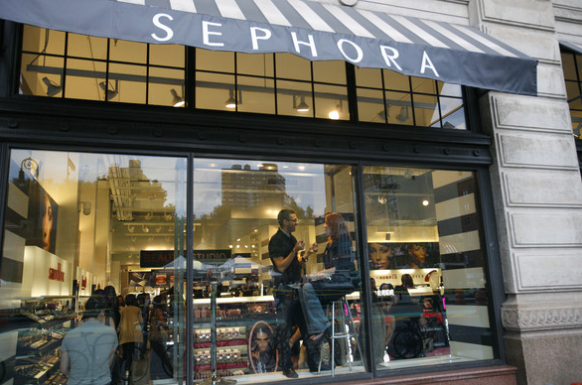 Sephora Union Square, located on 17th street and Park Ave.
My most shopped beauty place ever!!! Now I have gone to my share of Sephora’s. And I mean my share (I am a VIB Rouge) but, Union Square is my favorite. It has such an open floor plan and is so spacious. They are also fully stocked. I have never gone there looking for something and left empty handed because they did not have it. That is my biggest pet peeve with Sephora. A lot of them just do not have enough stock and that gets me crazy. And a huge plus about this Sephora is they carry Armani, D&G, Ellis Faas, Koh Gen Do, and Edward Bess. Unfortunately Edward Bess will soon be leaving Sephora so stock up now! I just cannot say enough good things about shopping here. You will totally leave with a smile on your face. Aesop, located on University Place and 9th street. 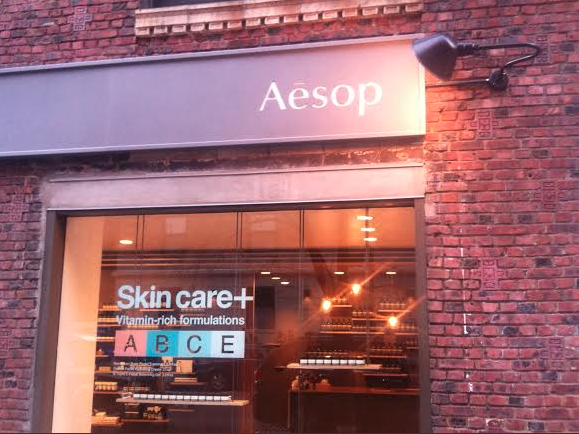 Aesop has a great range of skincare, hair care, and body care. Most of their products are plant based and high in antioxidants. They believe in people having great skin. Their Parsley Seed Cleansing Masque and Resurrection Aromatique Hand Balm are some of the best. C.O. 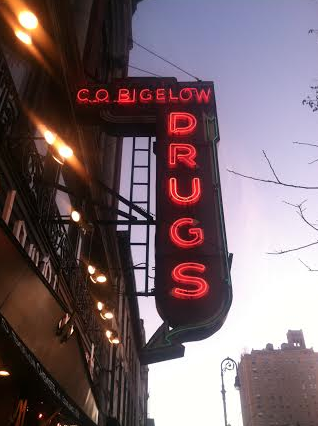 Bigelow, located on 6th Ave and 8th street. C.O. Bigelow is like a hole in the wall but, an amazing hole in the wall. It is one of the oldest drugstores in America. When you walk in you are inundated with just the best of the best beauty products. They carry Oribe, Bumble & Bumble, By Terry, Butter London, Deborah Lippmann, Ellis Faas, Jane Iredale, Kate Somerville, Lipstick Queen, and Tocca. And you know what the best part is? If you live in the neighborhood you can still get your prescriptions filled there. I just find that so cute and quaint. 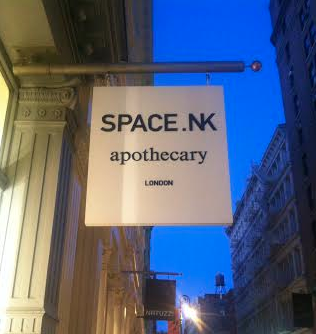 Space NK, located on Greene Street off of Spring Street. To be honest I just recently started to shop here but may I say it is just amazing. They have such a great range of products and the sales girls are so nice. Space NK carries Kevyn Aucoin, Nars, By Terry, Chantecaille, Oribe, Diptyque, Lipstick Queen, Laura Mercier, Hourglass, Jin Soon, Ellis Faas, Malin + Goetz, and so much more. If you are ever in New York you really must visit. I love an open floor plan and a large spacious area when I am shopping for beauty products and this gives you just that. I have gone later on in the evening and I pretty much have the place to myself. I hope you enjoyed this little shopping guide !! Let me know what your favorite beauty placed to shop are ! !